CLARKSVILLE, Tenn. (AP) - Earlier this year, after being harassed on her elementary school bus, 12-year-old Robyn Gordon wrote the book "Stop Bullying." 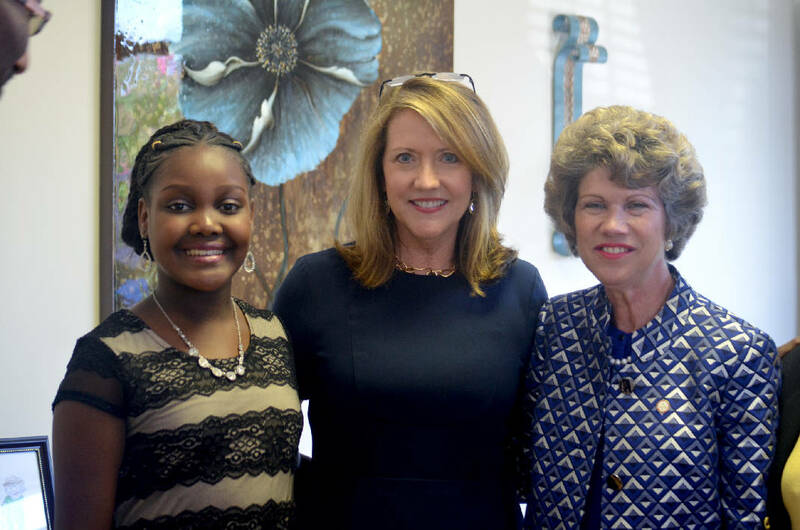 On Sept. 21, in a ceremony held at Power and Grace Preparatory Academy, Tennessee first lady Crissy Haslam said she was impressed by Gordon's ability to communicate. "It's a very important message to our state and country," Haslam said. "We should teach young people and all of us to be kind." Haslam shared the same message Gordon had for people suffering from bullying. "Talk to a teacher, a friend, a parent, just tell somebody," Haslam said. Power and Grace Preparatory Academy students presented two songs for Haslam. Haslam reviewed student' classwork and later spoke to them about the importance of reading. The hour-long event was attended by City Mayor Kim McMillan, Councilman David Allen and Councilman Richard Garrett. According to Gordon, the characters in the book do not necessarily relate to her but is a common situation kids go through. "I did not tell my mom I was being bullied until when I actually wrote the book," she said. Gordon's mother, Treva Gordon, said she was working on the computer when her daughter told her she had written a book. "I knew as a parent you had to do something with this," Treva Gordon said. Treva Gordon said many have called in to speak to Robyn with their bullying problems. "She's not a counselor so it's kinda hard," Treva Gordon said. The Power and Grace Preparatory Academy has adopted Gordon's book as a part of school curriculum to create awareness about bullying. Principal Katobwa Stallworth said social media is the biggest bully that has given some people the courage to say what they want without a sense of accountability. "We need to build them (students) up so that they understand what's not tangible," she said. Stallworth mentioned students as young as three and four having access to parent's phones which has exposed them to social media. "That for me kind of sets the deal," she said. Gordon has written another book called "Kindness," which will be out soon. The family will be approaching the Clarksville-Montgomery County School System to propose the addition of Gordon's book into their curriculum. The book is 22 pages long with Robbie as the protagonist and available to order at gordonpublishing.com.